RUSHMORE is an allegorical novella inspired by such works as Orwell’s Animal Farm and It Couldn’t Happen Here by Sinclair Lewis. 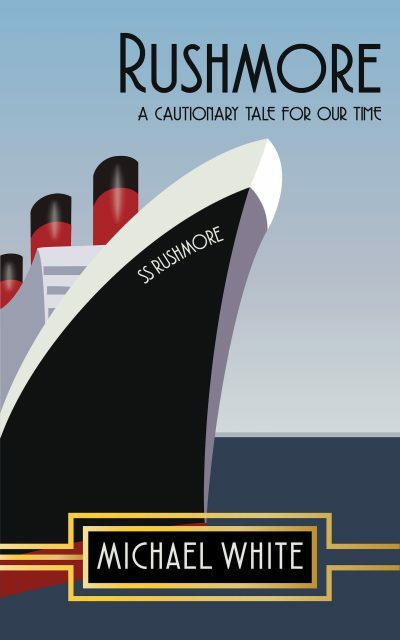 Luxury cruise liner, S.S Rushmore is at the start of what should be a routine voyage across the Atlantic from New York to Southampton. But when something inexplicable and terrifying happens how do the passengers and crew react? Life follows the ‘law of the jungle’; there are winners and there are losers. Aboard the ocean liner, for a thousand souls trapped inside a metal box bobbing on the ocean, the ‘law of the jungle’ is especially cruel.